Do you want to give different air to your house? Are you tired of the paint color of your apartment? Very attentive because we are going to provide you with the advice to paint. For one cause or another, we have to paint one or more rooms in our home at least once in our life. And almost none of us have any idea how to do it correctly, and how to avoid mistakes when painting. 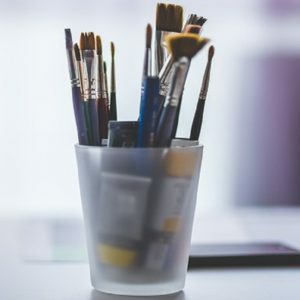 For this reason, we have thought about giving ten tips to paint in a fast and straightforward way, and leave a professional finish that we will be proud of. Also, we give you ingenious tips to reduce the cleaning time and extend the life of the rollers and brushes. Tip 1: Clean the walls thoroughly so that the paint will grip adequately. If it is painted on dirty, oily surfaces, etc., the paint can be easily peeled off when drying. Therefore, remove dust, dirt and grease stains, with water, a little mild dishwashing detergent, and a cellulose sponge. Rinse with clean water to remove soap scum. Tip 2: List of material to buy. Prepare a list before going to buy all the material; it will save you a lot of time in the store. Of course, when purchasing, do not skimp on expenses, since cheap paint can spoil the final finish. Keep this in mind when preparing the list: Cleaning service, paint, masking tape, primer, roller, brush, ladder, floor protection and furniture protection, bucket 5-liter bucket, etc. Tip 3: Mix several cans of paint in a large bucket for a uniform color. The color of the paint may vary slightly from one can to another. Therefore, if we run out of paint in the middle of a wall, the difference if we start another can be noticed. To avoid this, mix a pair of 2-liter cans in a large bucket of 5 liters. Tip 4: Bodybuilder tape on moldings, windows and door frames. In order not to stain the doors, window frames, etc., it is best to cover the edges with bodywork tape. In this way, even if you have a pulse with which you could not steal tambourines, you will not stain anything. You can place the tape a week before, for example, but when it is time to remove it, do not let the paint dry, do it just as soon as you finish painting. Tip 5: Paint the baseboards first, then the ceiling and walls. It is best to paint the baseboards first, then the ceiling, and finally the walls. When you wash the wood of the baseboards, let it dry for 24 hours, then cover them with masking tape, and you can start painting the walls without fear of the baseboards staining. When you finish with the walls, you can go to the ceiling. Tip 6: protection for the floor and furniture. To protect the soil, it is best to use cotton rags instead of plastic. The plastic sheets are slippery, and you can give yourself a good blow if you put a ladder, since you can skate one of the legs with the plastic. Also, paint spills on the plastic remain wet and can end up in your shoes, and you probably do not want to see your prints all over the house! For furniture, it is better to use plastics, which can hold onto furniture well. Tip 7: Start at the top. Starting to paint the wall at the top is the best you can do. After this, paint the rest down. I know it is basic advice, but for someone who had never painted a wall (like me), I would have preferred to have known it, to avoid that when leaving the top part for the end, the paint would flow towards the bottom portion that was almost dry. Tip 8: To avoid overlap marks. overlapOverlap marks are those ugly streaks caused by uneven layers of paint. They occur when we paint again a part of the wall where the paint is almost dry. The key to avoiding overlap marks is always to maintain a “wet edge”, so that each stroke of your roller overlaps the previous stroke before the paint can begin to dry. On the other hand, load the roller with paint frequently, so that it does not dry out at any time. Tip 9: Brush or roller? The roller to paint the wall is perfect, as it helps to maximize the gloss and coverage of the paint, and gives the final finish a more uniform appearance. But there is also paint around the baseboards and in the corners of the walls, places where the rollers are not the best option. 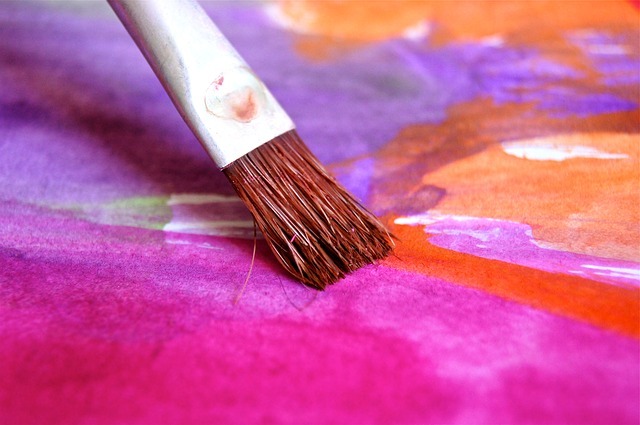 For these complicated areas, brushes are the best, but beware, if you paint only with a brush, you will find that the finish is different than the rest of the wall that you have painted with a roller. 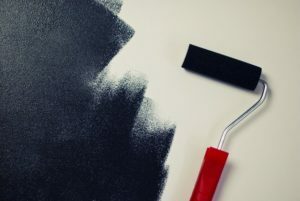 To prevent this from happening, paint these areas with the brush, and before it dries, pass a smaller roller, but the same thickness as the large roller with which you have painted the rest of the wall. Tip 10: Paint layers for an ultra smooth finish. A layer of paint usually will not hide the underlying color, and if it does, the surface will not be smooth, it will have a grainy feel. For an ultra smooth finish, always apply at least two coats of paint, and pass a fine-grained sandpaper sponge for each layer of paint. The sponges get into the cracks where the sandpaper cannot reach and stop applying uniform pressure. After each sanding, vacuum the rest and then wipe with an antistatic cloth to remove the dust. And remember, if you need help painting your house, you can ask someone to help you out in our team. A tool that allows you to connect people who can help with everyday tasks, anywhere and at any time? Being blocked in those circumstances, knowing that around us there are people who can surely help us, a neighbor, for example, is a feeling we all know. But it is not always easy to ask for help from strangers. Read More…..